What comes to mind when you think of mushrooms? A delicious addition to dinner? The splendor of a nature hike? Experimenting with “magic mushrooms” during your college days? It’s true that mushrooms can feed you, but did you know that certain species offer powerful support for immunity, stress recovery and heart health? From cap to mycelium, mushrooms offer much more than meets the eye. Mushrooms have been valued for their medicinal properties for five millennia. Hippocrates, the father of modern medicine said, “Let food be thy medicine and medicine be thy food,” and first documented use of Amadou mushroom as an anti-inflammatory∞ back in 450 BC. Ancient Asian cultures, from which Traditional Chinese Medicine (TCM) was born, have cultivated Reishi and Turkey Tail mushrooms for thousands of years due to their health and longevity-supportive properties. According to Mycologists (mushroom experts), there are over 150,000 species of mushrooms, but only 14,000 have been officially identified—of which 700 have been shown to possess health-supportive properties. Wow! Medicinal mushrooms are rich in polysaccharide and beta-glucan components that provide immune and stress support, which has been documented in an overwhelming number of scientific studies over the past 50 years (1,2,3,4,5,6,7,8,9,10,11,12,13,14). Unlike many immune-supportive ingredients, mushrooms are ideal for everyday use. A handful of mushroom species—Cordyceps, Reishi, Himematsutake (Agaricus blazei), Shiitake, Maitake and Turkey Tail—are clear standouts among the rest. 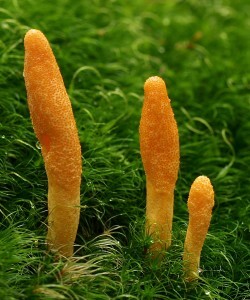 C ordyceps – Cordyceps militaris are prized for energy and stamina support, and have a very long history of use in Chinese medicine. 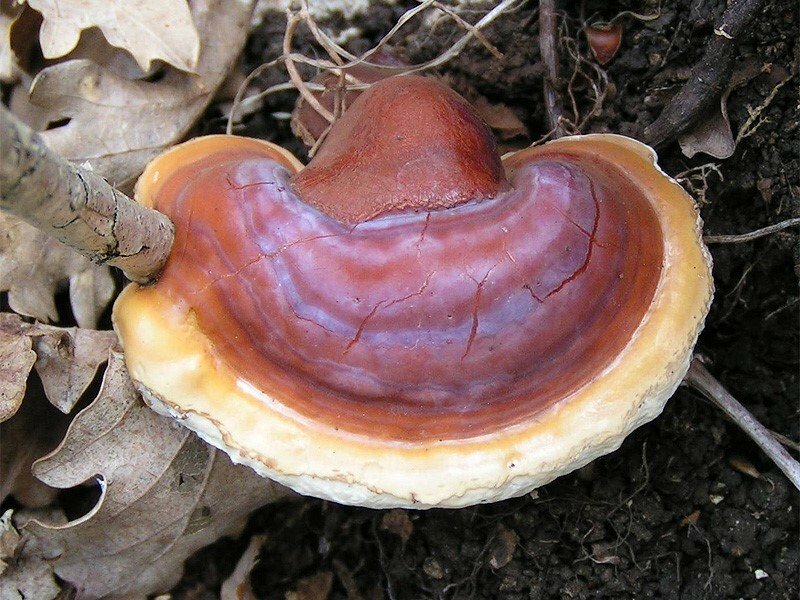 Reishi – Ganoderma lucidum is believed have the longest historical use of any medicinal mushroom, particularly in Chinese Medicine. Traditionally, it has been used to support cellular health, heart health, energy and immunity. 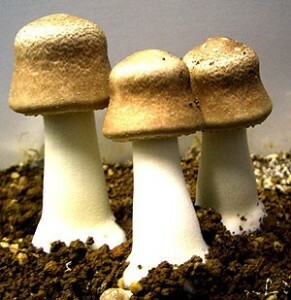 Himematsutate – Agaricus blazei is known to support a healthy immune system and healthy cellular activity, and has a long history of use in both Brazil and Japan. 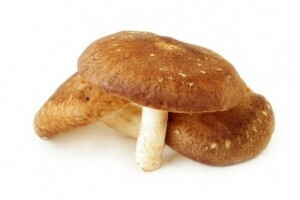 Shiitake – Lentinula edoses contains lentinan, a beta-glucan that has been shown to support healthy cell growth and activity, and has also been used to support healthy cholesterol levels. 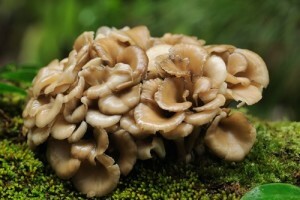 Maitake – Grifola fondosa contains a robust beta-glucan protein complex, including a unique compound called maitake D-fraction, whichsupports optimal cellular health and white blood function. 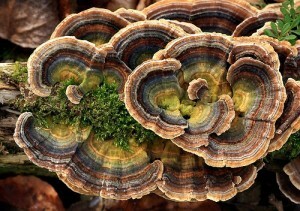 Turkey Tail – Trametes veriscolor has been used in Asia for thousands of years due to its broad-spectrum immune supportive properties. When theimmune system is strong, the body is better able to naturally return to homeostasis. When combined, these mushrooms provide broad-based support. Traditional delivery methods include eating whole (cooked) mushrooms, drinking mushroom tea or extracting the beneficial properties in ethanol alcohol—none of which taste particularly great. At SoTru, we created an organic and fermented medicinal mushroom drink mix with a deliciouscitrus taste that everyone (including kids) can look forward to drinking for daily immune and stress support. Research shows that fermented mushrooms helps to further support the immune system and may produce additional antioxidant peptides (12,13). Plus, we added prebiotic fiber, acerola cherry extract, green tea extract and ginger root for additional immune support and fiber. 1 Borchers, AT, et al. 2004. Mushrooms, tumors, and immunity: An update”. Exp Biol Med. 229:393-406. 2 Breene W. 1990. Nutritional and medicinal value of medicinal mushrooms. Journal of Food Protection. 53(10): 883-894. 3 Lindequist U, et. al. 2005. The pharmacological potential of mushrooms. Evidence-Based Complementary and Alternative Medicine. 2(3):285-299. 4 Lull C. 2005. Anti-inflammatory and immunomodulating properties of fungal metabolites. Mediators of Inflammation. 63-80. 5 Melitis C and Barker J. 2005. Medicinal mushrooms: A selective overview. Alternative & Complementary Therapies. 141-145. 6 Hetland G, et al. 2008. Effects of the medicinal mushroom Agaricus blazei on immunity, infection and cancer. Scandinavian Journal of Immunology. 68:363-370. 8 Lin ZB, et al. 2004. Anti-tumor and immunoregulatory activities of Ganoderma lucidum and its possible mechanisms. Acta Phamacology Sin. 25(11):1387-1395. 13Sun, J, et al. 2004. 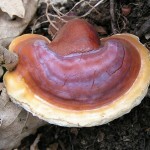 Novel antioxidant peptides from fermented mushroom Ganoderma lucidum (Reishi). J. Agric. Food. Chem. 52:6646-6652. 14Seifert S1, Watzl B.J 2007. Inulin and oligofructose: review of experimental data on immune modulation. Nutr.137(11 Suppl):2563S-2567S. ∞ These statements have not been evaluated by the Food and Drug Administration. This product is not intended to diagnose, treat, cure or prevent any disease.